With award-winning service, speed, reliability and technology, eFulfillment Service (EFS) is the go-to order fulfillment center for numerous toy and game sellers across the globe. Unlike many product fulfillment companies, we do not have minimum order requirements. We do not charge “long-term” storage fees, nor do we have long-term contracts with tricky fees that wind up costing you in the end. With EFS, there are no setup fees, and our clients pay as they go, making sure that we consistently deliver a superior level of service to you and your business. 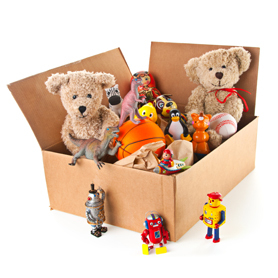 Since 2001, eFulfillment Service has offered reliability, affordability and honesty, pillars that have made us a trusted leader when it comes to toy, hobby and gift fulfillment. Many merchants in the toy, gift and hobby markets are accustomed to seasonality having a significant impact on their businesses and fulfillment center. While the holiday season often means an increase in sales, it can also bring with it an increase in expenses and a heightened level of stress from ramping up operations to prepare for higher demand. eFulfillment Service allows toy and gift merchants the ability to easily and cost-effectively scale their operations throughout the year. Combining our experience and advanced technology, order processing is fast and fulfillment is accurate….when you need it most. Learn more about our fulfillment technology, including the level of integration we offer with a variety of shopping carts. Learn more about our Test Drive Program, and discover why more toy and gift merchants trust eFulfillment Service. Request custom fulfillment pricing today.